As Vancouver continues to get used to (aka struggle with) the white fluffy stuff falling from the sky, the city is expected to get even more of it in the next 24 hours. The warning states that a long period of snowfall with total amounts of 10 to 15 cm is expected. The weather agency states that the total snowfall amounts will vary across the region with 10 to 15 cm falling in most areas with somewhat higher amounts possible on Vancouver Island. 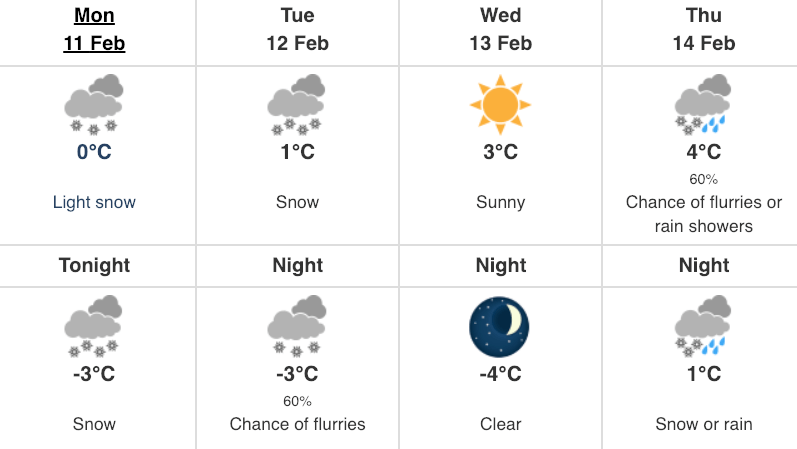 While the high in Vancouver will be 0°C, expect it to feel more like -12°C with the windchill. 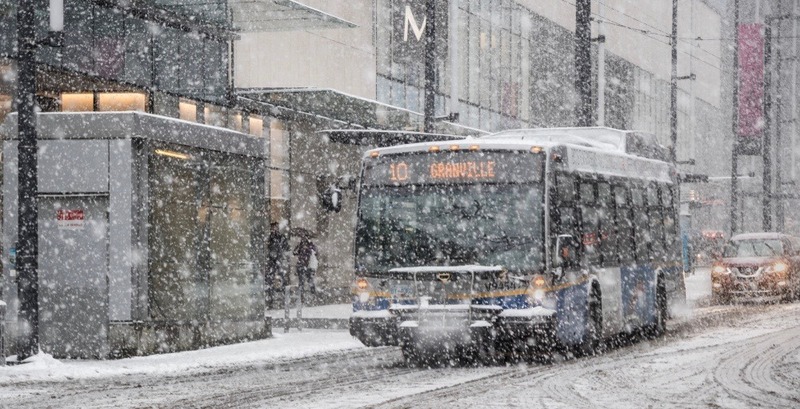 Snow began falling over the weekend, causing transit mayhem with Metro Vancouver seeing huge delays on buses. Expect to see more delays as rush hour begins.